Club Assembly with Speaker Steve Brown and all Avenues of Service Chair. 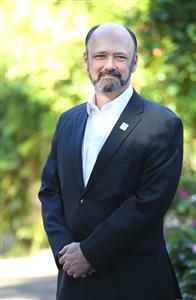 Jose Cruz is the chief executive officer for the San Diego Council on Literacy, a model urban literacy coalition. He has 33 years of experience in the literacy field and is completing his 12th year as his organization’s CEO. He is the recipient of the 2003 Union-Tribune, “Educator of the Year” award and past-president of the National Alliance of Urban Literacy Coalitions. Jose also serves as a board officer for ProLiteracy, the largest literacy organization in the world. He is the host of wsRadio’s “Literacy For All” show, which is broadcast live from San Diego to support literacy efforts across the nation and internationally. worked exclusively in the field of local history for those 20 years. Historical Society of San Diego (JAHSSD), and was its President 2009-2012.
leads walking tours of many historic neighborhoods and attractions in San Diego. Dr. Dan Chong is an Arthur Vining Davis Fellow at Rollins, teaching courses in international human rights, global poverty, and peace and conflict resolution. He has led international field study courses focused on human rights and development to Tanzania, Cuba, the Dominican Republic, Guatemala, South Africa, and the Thai-Burma border. His first book, Freedom from Poverty: NGOs and Human Rights Praxis (University of Pennsylvania Press, 2011), analyzes the methods that NGOs use to advocate for rights to food, housing and health care. His most recent book, Debating Human Rights (Lynne Rienner Publishers, 2014), examines major controversies in the field of human rights. He has contributed to journals such as Development and Change, Human Rights Review, and Global Environmental Politics. 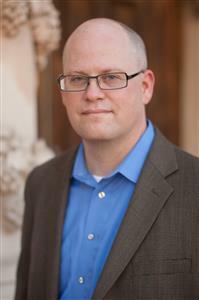 He also serves as the Faculty Director for the Social Innovation and Entrepreneurship Hub at Rollins College. Shelley Zimmerman joined National University in January of 2019 as a Chancellor appointed professor focusing on public safety and leadership. 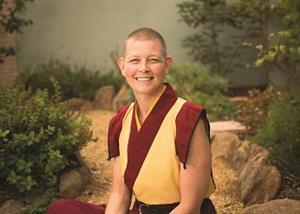 Prior to this appointment Chief Shelley Zimmerman was hired by the San Diego Police Department in October of 1982. She was promoted to Chief of Police on March 4, 2014 and retired on March 2, 2018 after an illustrious thirty-five-year career. She was born in Cleveland, Ohio and is a graduate of The Ohio State University, with a degree in Criminal Justice. She is also a graduate of the FBI National Academy, FBINA #241. During Chief Zimmerman’s career she worked many of the San Diego Police Department's patrol commands. Shelley also has extensive investigative experience. Some of Chief Zimmerman's assignments have included Vice, Narcotics, Internal Affairs, Multi-Cultural Community Relations, the Mayor's Executive Protection Detail, and the Narcotics Task Force. Chief Zimmerman assisted in the security planning for several large events in San Diego such as the Super Bowl, Republican National Convention, Comic Con, MLB All-Star game, major conferences, protests and the 4th of July Independence Day holiday at the beach, where more than one million people come to enjoy each year. Chief Zimmerman believes in community policing and that public safety is a shared responsibility with everyone playing a crucial role in keeping San Diego safe. Chief Zimmerman instituted new policies and deployed new equipment such as body worn cameras, (the largest city at the time to do so), and gunshot detection sensors. During Chief Zimmerman’s tenure as Chief (2014-2018) San Diego experienced historic low crime rates, including the lowest homicide rate per capita of any of the largest cities in the country. In 2017, the City of San Diego had the lowest overall crime in the past 49 years and was named the safest large city in America. 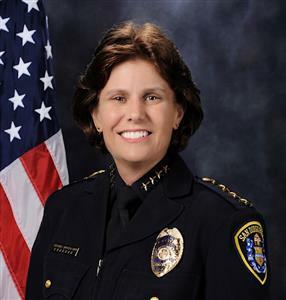 Chief Zimmerman received numerous awards and citations throughout her career which included; the San Diego Press Club Headliner of the year award for her undercover work, the San Diego Business Journal's Woman Who Mean Business Exemplary Award for her civic involvement with both the business and residential communities, the San Diego Police Foundation Women in Blue Award for her commitment to making San Diego one of the safest large cities in the United States and the Gold Key Award from the Hotel/Motel Association for her commitment to the Hospitality and Tourism Industry. Chief Zimmerman is an avid sports fan and often participates in athletic charity fundraisers. Jeniffer Rivera was born and raised in Puerto Rico. In the process of getting her BA in psychology, she joined local volunteering initiatives that led her to the Peace Corps. She served as a Youth Development Volunteer in Costa Rica from 2016- 2018. There, she took part in meaningful conversations and projects with the youth and community members regarding sexual education, women’s rights, restorative practices, life skills, social entrepreneurship, and leadership. With her passion for social justice and mental health, she intends to work with agents of change to create resilient, and healthy communities. Jeniffer is in the MA in Peace & Justice program from the Kroc School of Peace Studies and a Coverdell Fellow & Rotary Foundation, Grillo- Marxuach Family Scholar. Valentina is a Rotary Foundation and Grillo-Marxuach Scholar from Puerto Rico. She has lived in Madrid, Spain and Washington, D.C. She believes that learning from other cultures is the best way to learn and grow. She has always been passionate about helping communities, specifically those with mental illness. She translated her passion for social justice when she became president of a community service club that brought food to the homeless in the San Juan area. This experience opened her eyes to the reality of Puerto Rico's historic economic crisis. 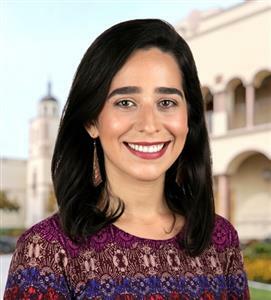 Valentina is graduating this May from a Masters in Peace and Justice at the Joan B. Kroc School of Peace and Studies. As a millennial, a Puerto Rican and a citizen of the world, she feels the need to do something for her island. Brett Morey certainly needs no introduction to our club as he’s been a Rotarian for 17 years, been a member of the Rotary Club of La Jolla Golden Triangle since the Fall of 2008 and served as President 2013-14. He also serves as one of the Rotary Rose Parade Float Committee Directors and attends monthly meetings. What you may not know is how he got involved with the Rotary Rose Parade Float, how the budget is covered or ways in which all of us as Rotarians could use this opportunity to involve friends, business associates and family. Decorating the float is actually just one of several ways to get involved. Did you know you're invited to join the Rotary International President and their spouse along with 150-200 Rotarians for annual Holiday dinner in Pasadena on December 30th? Well you do now. The 2020 them of the Rotary Rose Parade Float is “Hope Connects the World” which is right in line with the 2019-20 Rotary International theme, “Rotary Connects the World!” Don’t miss the 131st Tournament of Roses on New Year’s Day or the opportunity to involve others as we work together to expand the family of Rotary. As a professional arts administrator Wendy Wilson-Gibson has extensive experience in media communications and non-profit arts management. From concept to final product Wendy enjoys collaborating with private collectors, clients, non-profits, and museums to conceptualize exhibitions and explore visitor experience and immersive experiences. As an artist she has studied and worked as a practicing artist in new media arts focused on the intersections of art and science as well as data collection and display. As a curator, she has conceptualized, funded, and produced multi-media installations and exhibitions exploring contemporary, new media, and theory-based subject matter as well as exhibitions exploring the history of personal collections and the relationships involved in art creation. Wendy received her Bachelors Degree in Radio, Television, and Film with an emphasis in Studio and Art Theory from California State University, Fresno. She began her career in broadcast media producing radio and television programming. She moved to Los Angeles to work the entertainment circuit as a national demographics writer in the creative department of 20th Century Fox Studios, she wrote pilots under the direction of Barry Diller, Stephen Chao, Brian Graden, and Scott St. John. Before this Wendy was Associate Producing for Jonathan Goodson at Mark Goodson Productions. Charity work in Los Angeles included publicity director for Los Angeles Friends of Tibet and community programming at KPFK, Pacifica Los Angeles. Wendy has always enjoyed working in multimedia event coordination, promoting music and performance groups from experimental to international. Music production includes working for Darla Records, Vista CA. ; Station Manager at KFCF Fresno, a Pacifica commercial free radio station run by the non-profit Fresno Free College Foundation. Wendy enjoys fundraising for worthy causes including supporting local arts agencies and local art groups. She has fundraised for the San Dieguito River Valley Conservancy, museums, and historical societies. She has worked with charitable foundations like the Niki de Saint Phalle Charitable Art Foundation and Matthew and Iris Strauss Family Foundation. 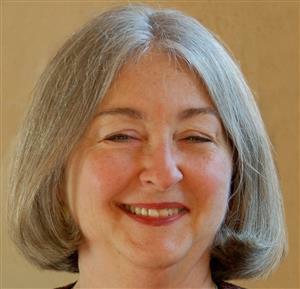 Currently Wendy is the Executive Director of The Bonita Historical Society which operates the Bonita Museum & Cultural Center (BMCC). The museum is located in the idyllic Sweetwater Valley, easily accessible from the 805 or 54 freeway in South Bay, San Diego. The museum hosts ten exhibitions per year relating to the history of San Diego South Bay, as well as highlighting the artwork of local and regional artists. Currently the museum is hosting the National Sculpture Society based in New York and their Southern California member sculptors including MehlLawson, Mark Edward Adams, D.L. Engle, and Adam Matano. These artists receive national recognition for their large scale public sculpture of animals. The BMCC also has a gallery devoted year around to the history of the Sweetwater Valley. The outdoor area of the museum is home to Imperial Beach collective Art Kids of San Diego who host “Art in the Museum” days every second and fourth Saturday. The patio is also home to a fire truck play structure designed by artist Anna Stump as well as an archeological pit to recover artifacts from early San Diego. Rotary’s principal motto is “Service Above Self”. With this in mind, the purpose of this award is to recognize individual Educators who have demonstrated exemplary contribution to education, in any form and at any level, with an emphasis on personal efforts and active involvement in helping students.